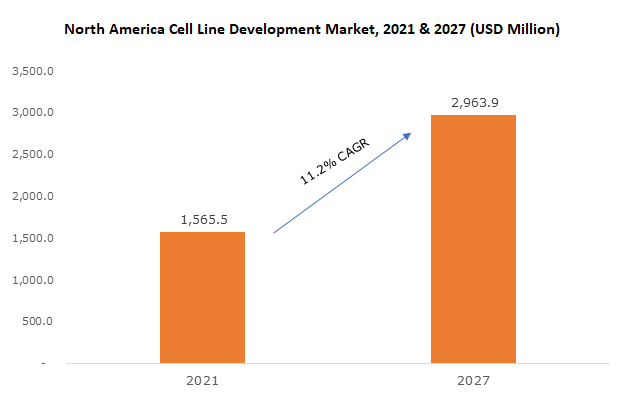 North America cell line development market was valued at USD 1.1 billion in 2017 and is expected to witness growth of more than 12.5% CAGR from 2018 to 2024. Growing demand for monoclonal antibodies and rising prevalence of cancer will drive North America cell line development market. Extensive research is been carried out to reduce cancer burden in the U.S, that includes cancer cell line development for cancer treatment. 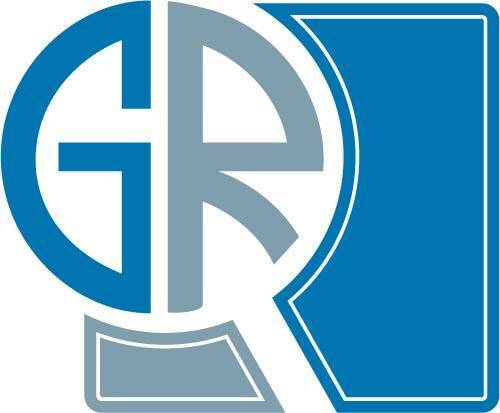 Growth of biotechnology industry stimulating growth of drug discovery, gene therapy and cell culture techniques will further lead to industry expansion. Patent expirations of blockbuster biologics including Neupogen, Lantus, and Avonex will result in development of new biologics thereby fuelling growth of cell line development market. US FDA approved around 13 biologics in 2015 and 11 in 2014. Growing demand for monoclonal antibodies, rising awareness about cell therapy, and high healthcare expenditure will drive North America market. However, concerns related to stem cell research will hamper industry growth to certain extent over the coming years. Reagents and media segment dominated industry in 2017 and is anticipated to witness considerable growth over the coming years owing to wide-ranging applications in in bio production, regenerative medicines, tissue engineering, drug discovery, toxicity testing and research. Technological advancements in equipment used during cell culture will drive equipment segment during the forecast timeframe thereby driving business growth. Recombinant cell line held over 31.2% of market share due to its rising application in secondary cell lines and biologics. Rising demand for drug screening and toxicity testing will propel the market growth of recombinant cell lines. Pharmaceutical and biotech companies are investing on development of monoclonal antibodies and biosimilars will further propel industry expansion. Biopharmaceuticals and biologics are the fastest growing segment in pharmaceutical industry. Rising prevalence of chronic diseases including cancer will boost demand for monoclonal antibodies and vaccines thereby positively impacting biopharmaceutical market. Monoclonal antibodies and vaccines being most commonly synthesized products in bioproduction will drive segment growth during the forecast period. U.S. cell line development market held largest market share of USD 1.0 billion in 2017 owing to growing reimbursements from public and private insurers, presence of sophisticated healthcare facilities, increasing awareness related to cell therapy and growing demand for biologics along with moderately higher healthcare expenditure levels in the country. Prominent industry players operating in North America cell line development market are WuXi AppTec, GE Healthcare, Sartorius, Selexis, Thermo Fisher Scientific, The European Collection of Cell Cultures, Sigma-Aldrich (Merck), Lonza Group, Samsung Biologic, GVK BIO, and Progenitor Cell Therapy. Industry players are focusing on research activities to develop superior products and gain significant market share in the cell line development industry. North America cell line development market will grow lucratively over the coming years owing to constant research and development activities undertaken by public and government bodies to develop technologically advanced products in biotechnology industry. Favorable regulatory scenario is another driving factor for industry growth. For instance, In March 2017, Selexis SA launched SUREselect, novel cell selection platform to enhance quality of clone selection for cell lines used to manufacture vaccines and protein therapeutics.